Hi everyone! Linda here today. 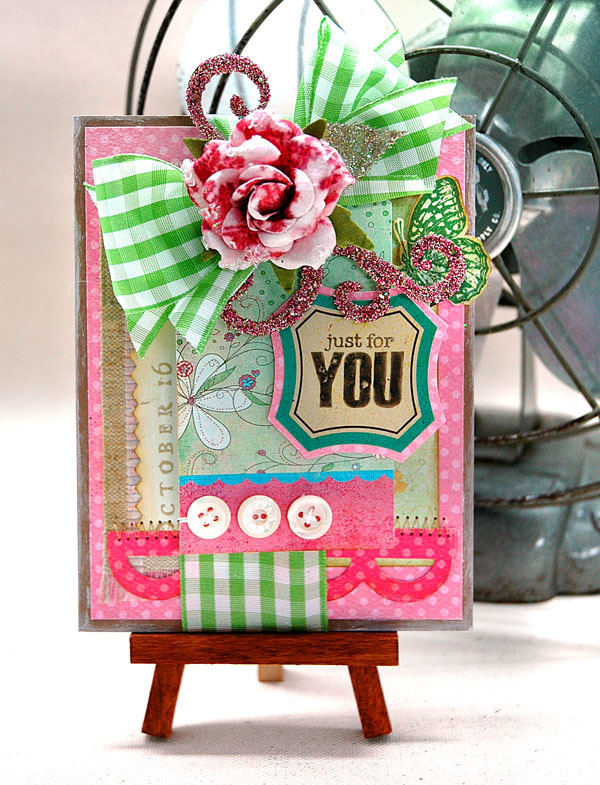 Since I am currently still on the "pink" mode, today I would like to share a cute green and pink color combination card I created recently using 1.5 inch green gingham. I love creating projects using large size ribbon. It kinda creates "full" embellishments feel to it. For this card specifically, I added pink glitter on the naked chipboard swirl that I added on the back of the bow. Ribbon was wrapped vertically, right on the middle of the card, then create a bow tie. Top the project with your favorite embellishment. For this project, I just glittered rose.